There’s no slowing down Marvel Studios. Filming for Iron Man 3 is underway, with snippets of information and photos making their way online. Directed by Shane Black, the third movie follows Tony Stark’s narcissistic good times after the events in The Avengers. Iron Man 3 rocks theaters May 3, 2013. I hope to see these at Comic-Con like last time! Same here! And at the pace they’re going at, Comic-Con will need a “Hall of Iron Man” for all the suits by the time The Avengers 2 comes out. GASP! 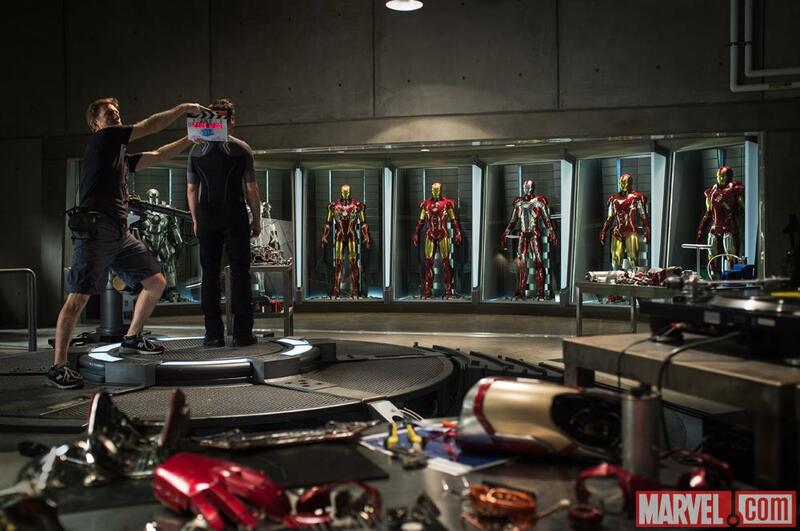 I want to see a hall of Iron Man suits! Of course! And thank you for returning the favor! I’ll be sure to update as frequently as possible. Haha.